According to Forrester, 90% of organizations will be using cloud-based content management systems by the end of 2019. Shifting to the cloud hosts a series of benefits, but with so many software options to consider, it’s essential that future cloud buyers understand the practical considerations for a cloud-based content management strategy on Amazon Web Services (AWS). 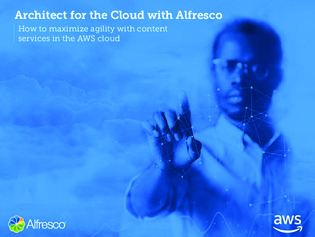 In this e-guide, learn how to quantify the financial benefits of cloud migration and learn how your organization could achieve a 148% return on investment with Alfresco on AWS.